Spring is here and so are some trendy new classes. 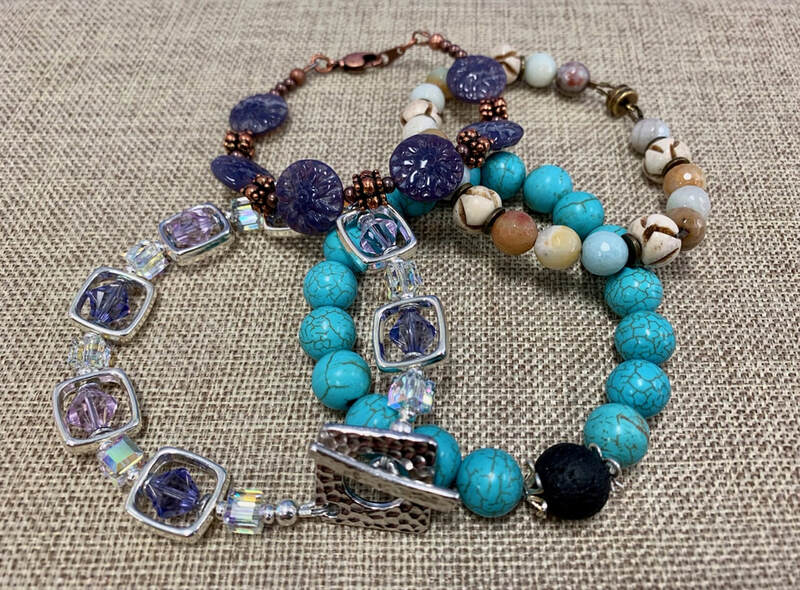 Sign up today and increase your knowledge and skills by learning a new technique while having fun making jewelry to fit your style, all year long. This is a bead weaving pattern by Lisa Krupp-Dooley and she will teach how to in-corporate Czech Arcos Par Puca, “O” and SuperDuo beads to make these fabulous beaded beads! You will learn 2 different knotting techniques that can be applied to making a knotted stone & pearl necklace or a traditional pearl necklace. In this class Maggie will teach you a new finishing technique for your Kumihimo bracelet so that it becomes a stylish bangle! 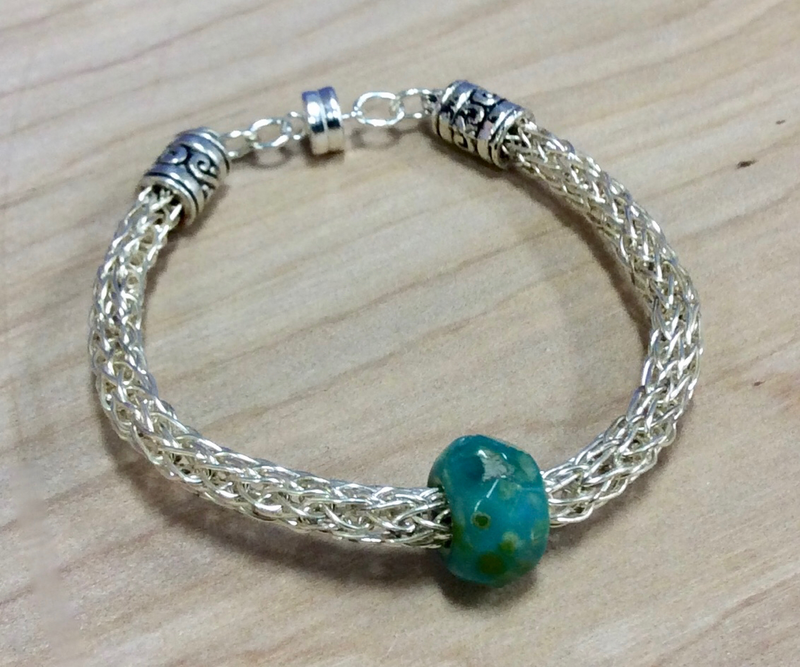 This technique of wire weaving originated during the Viking era but has been revitalized to create modern and sleek designer jewelry. Students will learn how to make a bracelet during class. Here’s a way to contemporize your macramé bracelet by using leather. This is the perfect beginner beading class! Students will learn the basics of stringing and design, including review of materials and proper use & application of tools. You will have time to make a bracelet during class. Take the guesswork out of making beaded earrings! 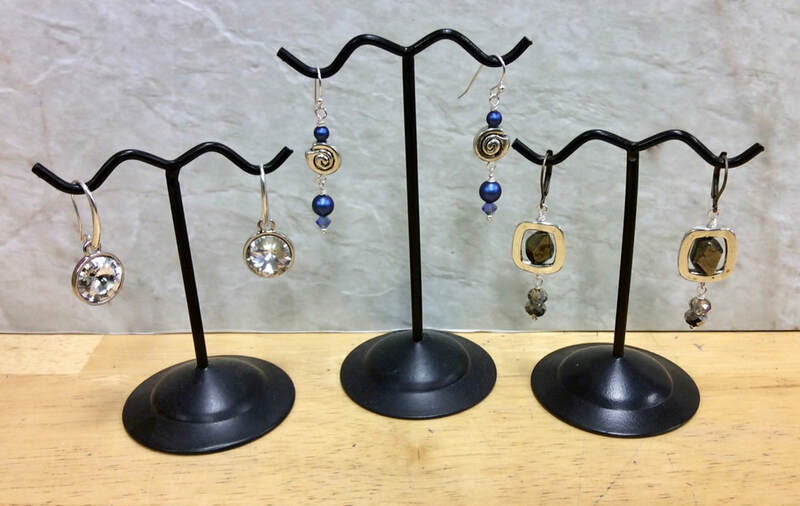 Earrings are fun, easy and inexpensive to make. Students will learn a few basic beading techniques including wire wrapping to make a pair of earrings. Do you have undrilled stones or sea glass lying around? 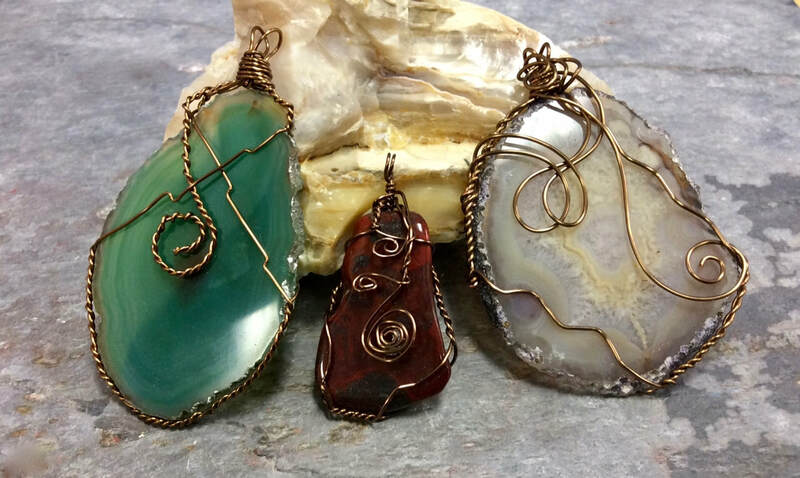 Here’s a great beginner class that will teach you the fundamentals of basic wire wrapping of an undrilled stone or glass. Have you ever wondered what all the excitement is around essential oils? As a doTerra Wellness Advocate we will be hosting an informational meeting that will explain how natural solutions could benefit you! Are all the essential oils created the same? Why use doTERRA versus the other oils? At the end of this class we will be happy to answer any of your questions about natural solutions. You may register in person, by phone (952-448-1846), or through this website. Class fee is due at time of registration to reserve your spot in class. Supplies are not included unless otherwise noted. You will receive a supply list with your paid registration. You will receive a 15% discount on supplies – please purchase supplies well before class starts. Class sizes are limited and filled on a first come, first served basis. Classes are for ages 13 and up unless otherwise noted. If you have any questions, please stop by or give us a call at 952-448-1846. Are you interested in a class but the scheduled time doesn't fit your availability? Simply gather 3-5 friends and we will work with you to set-up a private class.